We have scrolled through our Instagram feeds and chosen four of our favourite makeup gurus whose pages will inspire you to try a new look. These legendary names are some of the best in the industry and we have their top tricks for you to interrogate into your makeup routine. If you’ve ever opened a magazine or seen an international fashion show there’s a good chance you have seen the work of Pat McGrath. 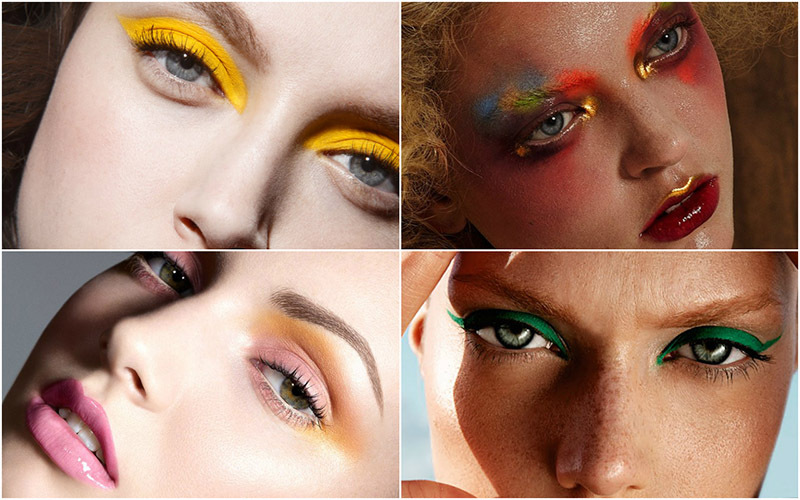 Hailed by Vogue as ‘the most influential make-up artist in the world’ McGrath has become so vital to the vision of some designers that photo shoots are often rescheduled if she’s not available. This self-taught Brit has the ability to create minimal masterpieces as well as outrageous avant-garde looks and her work has been featured in countless magazines and runways across the globe. Pat is currently working as the Global Design Director at Procter & Gamble. 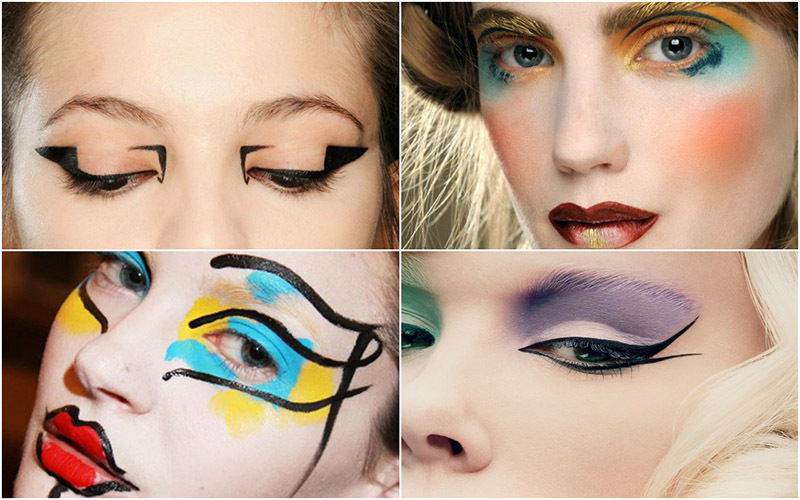 Follow her Instagram PATMCGRATHREAL for some serious eyeliner envy and to see her latest work. • Use your fingertips instead of brushes; it creates a better look and allows more control over the pressure against the skin to blend using the heat of your fingertips. • Layer your products. Line and fill the entire mouth with lip liner before applying lipstick for long lasting wear. Blot lips with a tissue then layer matte colour by applying lipstick with fingers. • Skip mascara on the lower lashes if you want the appearance of bigger eyes. Her client list reads as a who’s who of Hollywood and in between painting famous faces for events and editorials she finds time to work as Global Creative Director at Lancôme, make YouTube videos for her more than one million subscribers, write a monthly beauty column for UK ELLE magazine and upload pretty pictures on Instagram. By following her Instagram LISAELDRIDGEMAKEIP you can expect to see her favourite beauty products, photos of her two British short haired cats Teddy and Bertie, a colourful insight into her portfolio and some celebrity clients along the way. • On lip liner: Buffing on the colour with a lip pencil will give you a look of volume around the edges and it will stay on longer. If your lipstick does wear off you will not be left with an obvious rim. • Applying too much primer, moisturizer and foundation will overload the skin and it will wear off much quicker than thin layers; make-up which is really well blended and in synergy with your skin will last longer. • On skin coverage: Embellish skin, cover it where it needs to covered but not all over. Val Garland has roots in hair colouring and it was her love of colour that saw her move from hair into makeup. Known for her fearless approach, Garland has worked with Alexander McQueen and Lady Gaga and believes in taking risks and challenging beauty standards. One time she covered the models’ faces with sticky gloss before they each stuck their faces into a box of glitter, it’s this daring attitude that makes her appealing to designers and photographers. On her Instagram page THEVALGARLAND she invites you to ‘climb inside my head,’ and if her feed is anything to go by then her head must be a colourfully abstract place full of vintage, landscape and editorial photos. • Start your liner with a pencil, or take a brush, push it into the pencil, and then draw your line with the brush for a more accurate finish. Then you can go into the roots with a liquid liner, so you’ll get that root definition, but, because you’ve got the pencil behind the liquid liner, you don’t see any wobble. • If your foundation feels dry or cakey, you can easily correct it by applying a bit of moisturizer on top. 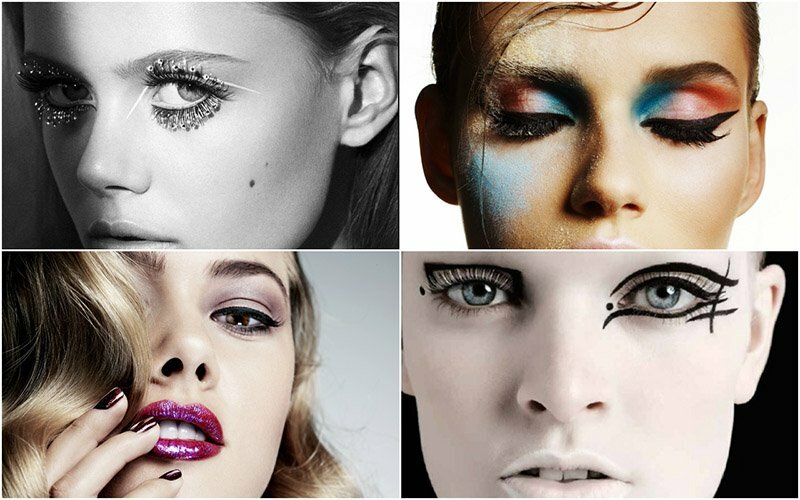 • On eyeliner: Tilt your head back slightly so that your eyes are half-closed and then sweep the brush across all in one motion. You can always fill in any gaps after. 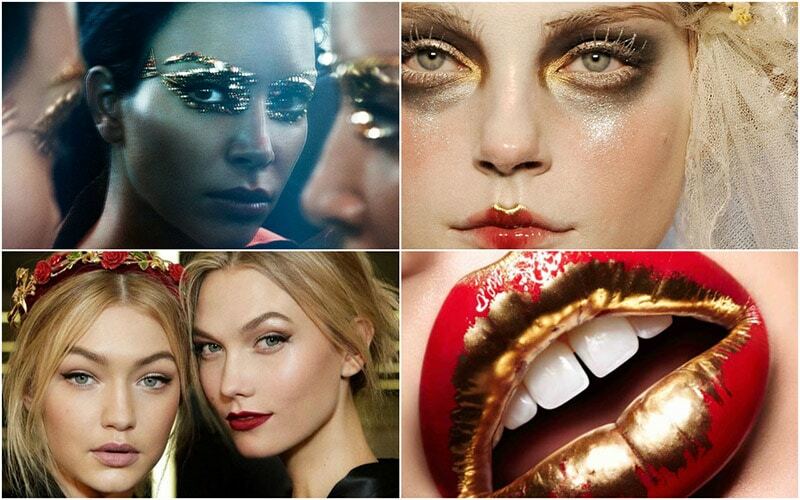 As a former assistant to Pat McGrath, Lotstar learnt from the makeup master and has continued to fine-tune her talents as a freelance artist over the past twelve years. Educated in graphic design, Lottie understands form and the importance of detail making her a force to be reckoned with. She has worked her magic with top design houses including Dior and Chanel on runway looks and has collaborated with magazines including Vanity Fair and Vogue. Known on Instagram as LOTSTAR, her page is filled with the faces she’s worked on and product recommendations. • Use lip balm as a highlighter on top of the cheeks and above the bridge of the nose. • On highlighting: Skip powder where you want a highlight and use either a liquid or cream highlighter on those areas although its not always needed. • When applying false eyelashes make sure you add glue to your lash strip and let dry for a good 30 seconds before applying. I use a rubber tipped tool to apply as close to the lashes as possible and then hold down the corners with my fingers to make sure they are on good.